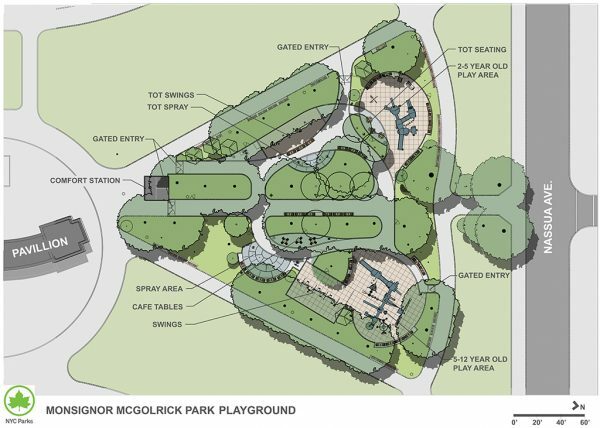 The McGolrick Park playground is expected to reopen around mid-September, according to the Parks Department. 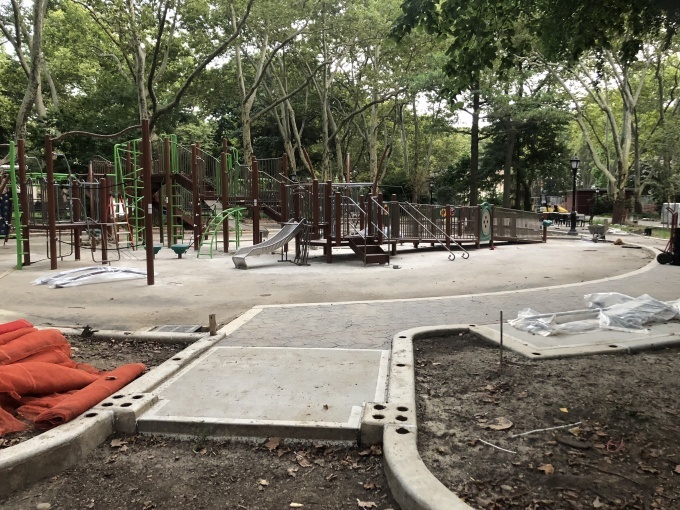 The playground, within the roughly 9 acre park bordered by Monitor and Russell Streets, and Nassau and Driggs Avenues, has been closed off for reconstruction since September 2017 in a project that includes new play equipment, spray showers, benches, and plantings. The parks playground is also being repaved, and provided with new fencing. 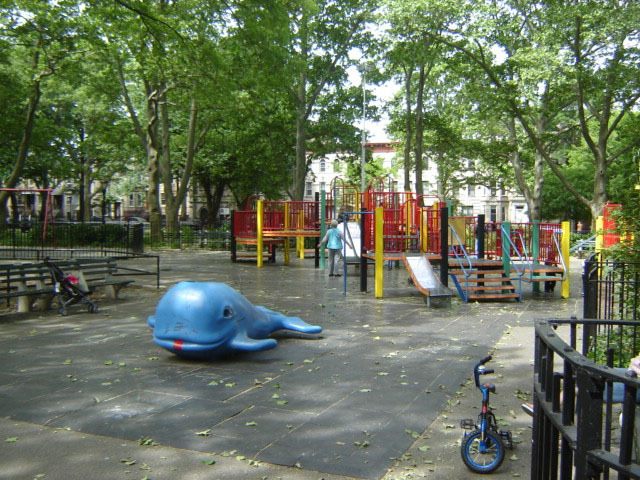 Maeri Ferguson, a NYC Parks spokesperson, said the playground’s reconstruction is on schedule. The cost of the revamp is upwards of $2.6 million, with more than $1 million in funding from Council Member Stephen Levin and Brooklyn Borough President Eric Adams. Since the playground’s closing, an “Imaginary Playground” has been in place at the park, along with a pop-up play space, operated by the McGolrick Park Alliance. While the playground will be outfitted with new play equipment, several lamented at the time of construction that the playground’s beloved whale will have to be removed as part of the project. The capital project will soon be followed by reconstruction work to the park’s pathways, another project set to begin some time this fall. I’m also a native to the area, I went to P.S.110 and would go to McGolrick almost everyday after school and slide down that whale. I will miss it. I’m happy though the playground got renovated, it needed to.